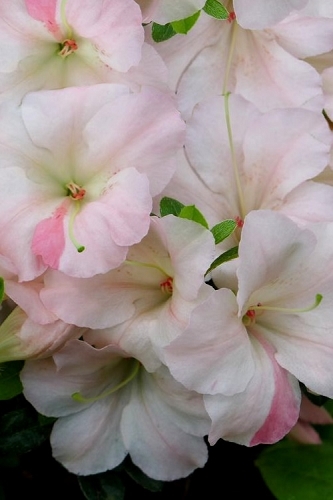 There's no other Azalea like Hilda Niblett! 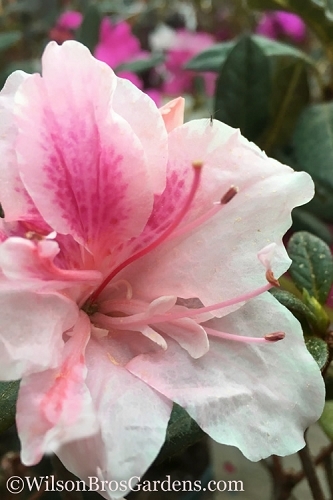 Named PLANT OF THE YEAR by the American Rhododendron Society, Hilda Niblett Azalea produces some of the most exciting, eye-catching flowers of any azalea. Get all the details below! 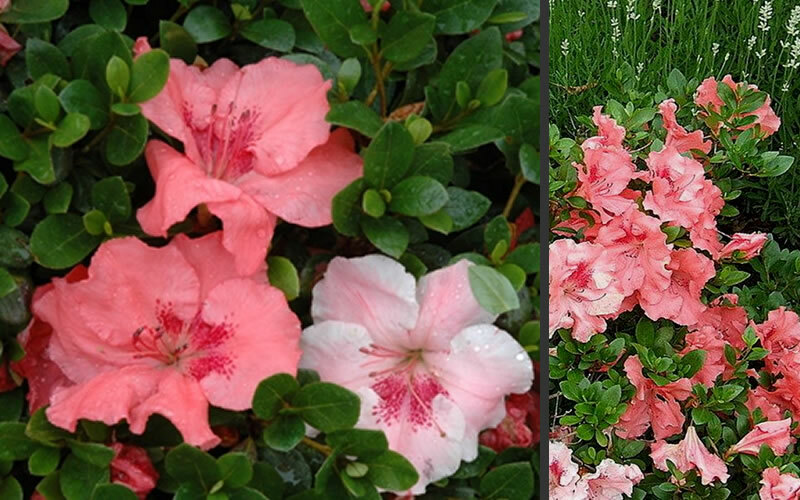 Note: For our customers who live and garden North of USDA Plant Hardiness Zone 5a, where this Azalea variety is not reliably winder hardy, you can enjoy it in containers that can be moved indoors during winter and placed back outside when temperatures warm up in spring. 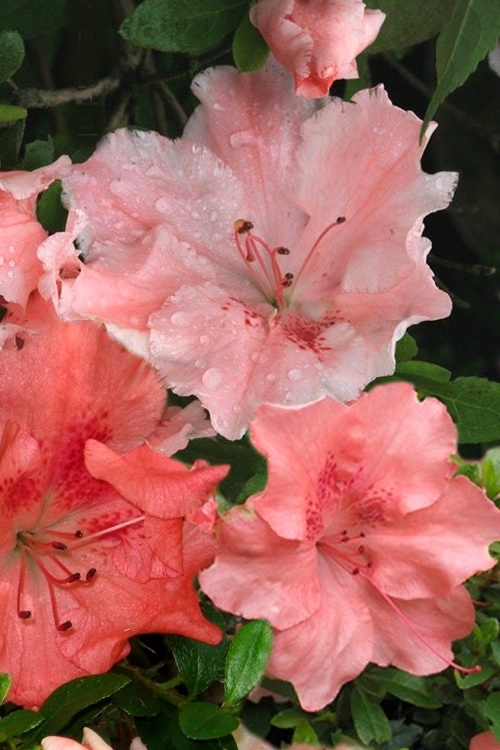 There's no other Azalea like Hilda Niblett! 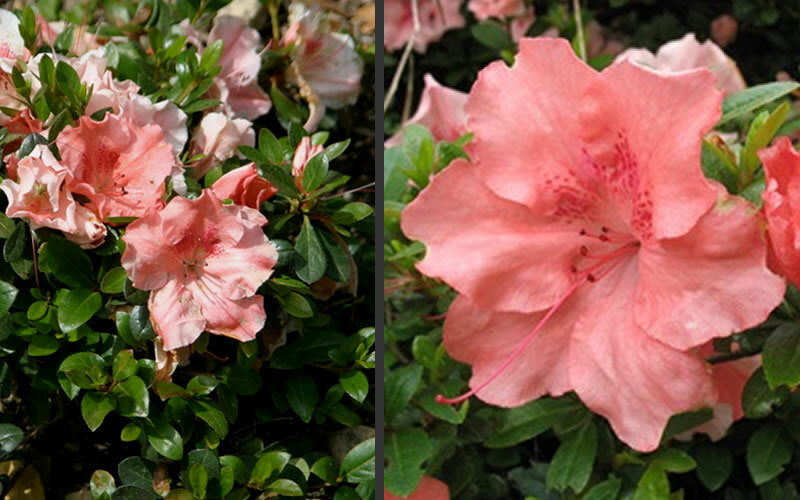 Named PLANT OF THE YEAR by the American Rhododendron Society, Hilda Niblett Azalea produces some of the most exciting, eye-catching flowers of any azalea. Large flowers in various shades and overtones of light pink to peachy pink and dark peach are produced over a long bloom period from early spring to early summer on low mounds maybe a foot high and 3 feet wide. 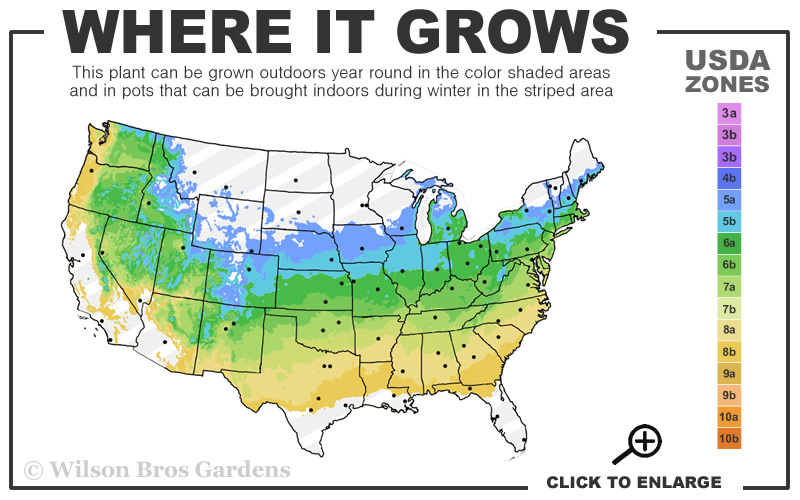 Lustrous, deep green foliage year round. 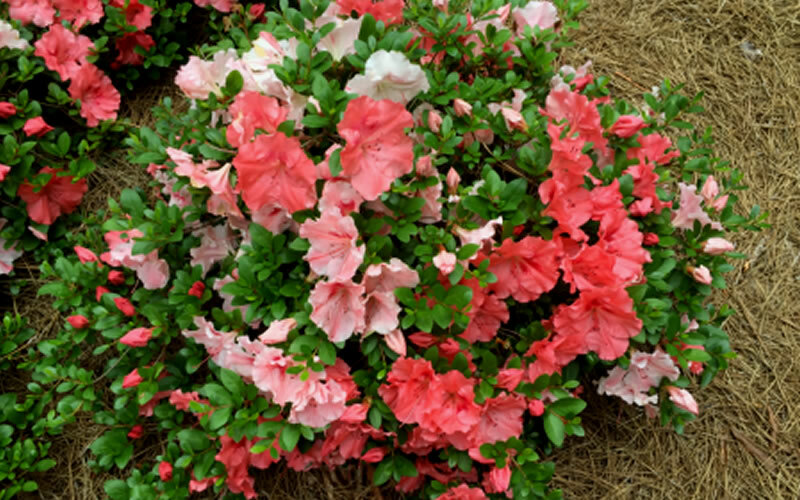 One of a legacy series called the Robinhill Azaleas, it has stood the test of time beautifully. Growing in a low mound 18 to 24 inches tall and 3 to 4 feet wide at maturity, Hilda Niblett Azalea is ideal for use as a specimen in small garden spaces and in groupings, mass plantings or as a border along paths and walkways in larger landscape and woodland borders and home foundation plantings. 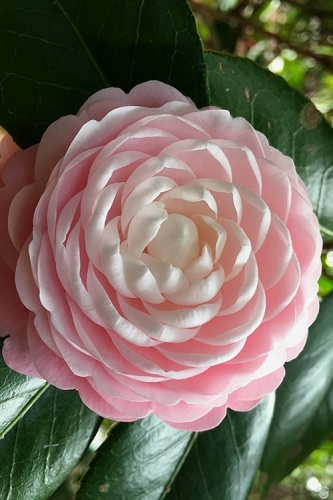 A fine addition to Asian-theme gardens, Azalea gardens, cottage gardens, and partially shaded woodland gardens. 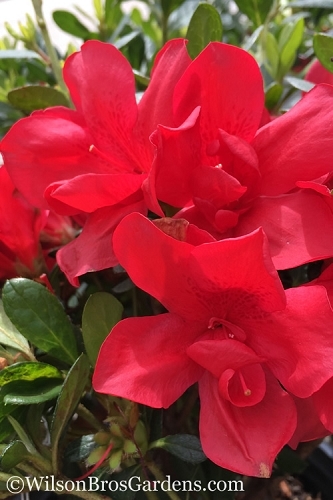 Hilda Niblett Azalea is easy to grow in a moist but well-drained and acidic soil that is rich in organic matter and part sun. Morning sun with afternoon shade or filtered sun is ideal. 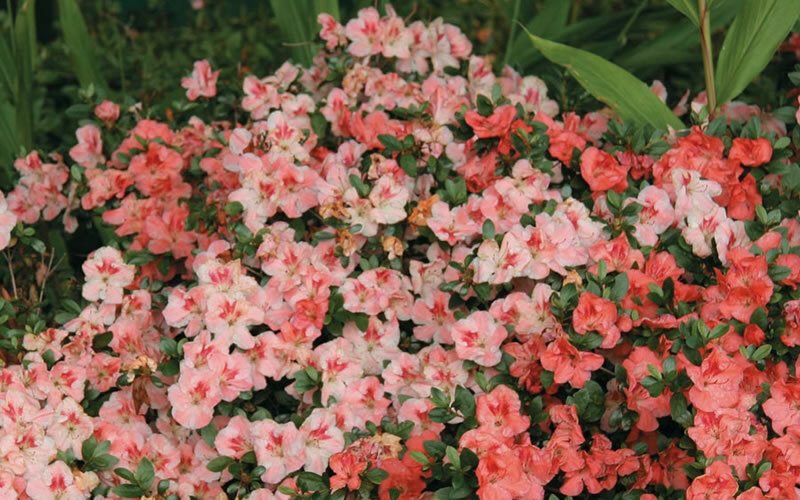 Click on a link below to find helpful advice from our experts for how to plant and care for evergreen Azaleas.